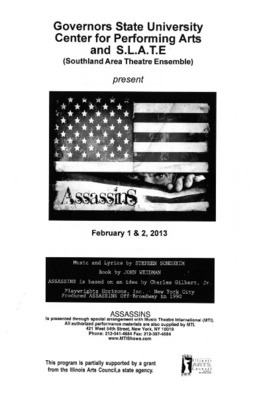 Playbill insert for the February 1 & 2, 2013 performances of Assassins by the Southland Area Theatre Ensemble (SLATE). 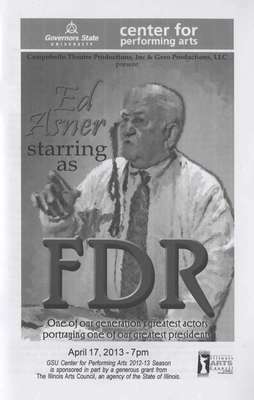 Autographed playbill insert for the April 17, 2013 performance by Ed Asner starring as FDR. 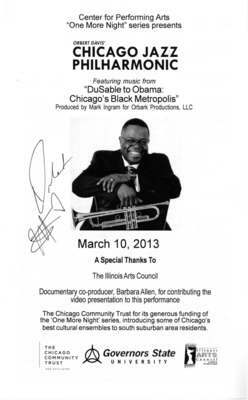 Autographed playbill for the March 10, 2013 performance by Orbert Davis' Chicago Jazz Philharmonic. 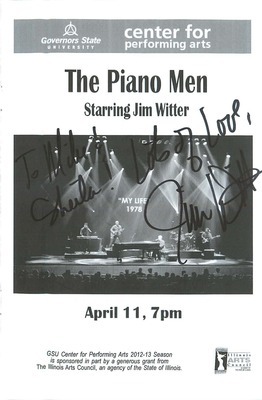 Autographed playbill insert for the April 11, 2013 performance of The Piano Men Starring Jim Witter. 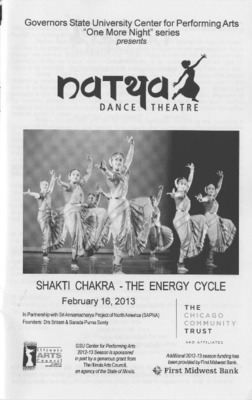 Playbill insert for the February 16, 2013 performance of Shakti Chakra: The Energy Cycle by Natya Dance Theatre. 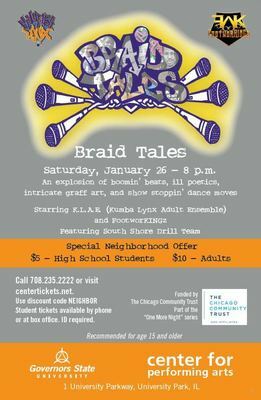 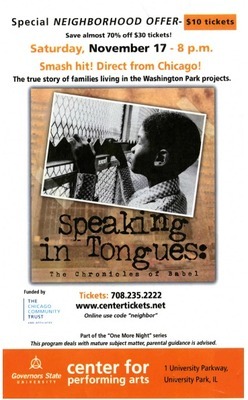 Promotional material and playbill insert for the November 17, 2012 performance of Speaking in Tongues: The Chronicles of Babel.